Click the button below to add the Flat Beaded Panel Door Primed to your wish list. We did our bathroom a few months ago to try out these products. We were soo happy with the quality and finish, we decided to do the kitchen next. Now that we have done the kitchen, I'm glad I don't have any more cabinets to do, or I would be doing those next. This is not my idea of retirement, but this IS my idea of quality craftsmanship, pride in one's work, and integrity. Thank you for being everything we hoped you would be. Your organization and products are something you can be truly proud of. We replaced 4 doors and 2 drawer fronts on our bathroom vanity. This company was very easy to deal with, all questions answered quickly. The quality of the doors is far above what I expected. I'm soo glad I found them. Only thing is, NOW my wife expects me to do the entire kitchen. I thought I was retired, thanks for convincing me otherwise. Am now on phase 4 of my kitchen cabinet re-do...I love my new beaded cabinet doors. I only wish I had thought to have them spray painted...would have saved me hours of painting...with brush marks! I recommend spending a little more...so worth it! Am so pleased with the results; and you will be too! In the process of updating the kitchen cabinets in an old beach cottage...this is the way to go! 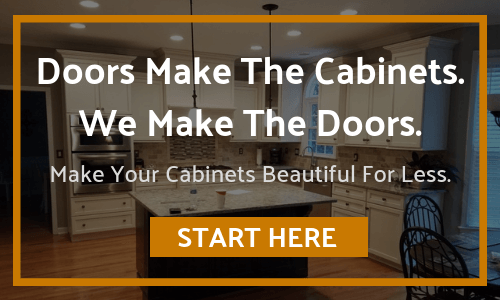 Repaint your old boxed cabinet & order new doors. Makes the kitchen look brand new...you can even get the doors primed, painted to the color of your choice, bored for hinges, and the hardware. All you have to do...is install...which is easy! Great look for a fraction of the cost! You never know what you're going to get ordering over the internet. It was a small job- two doors and three false drawer fronts for a powder room. I wasn't sure how much attention the job would get. 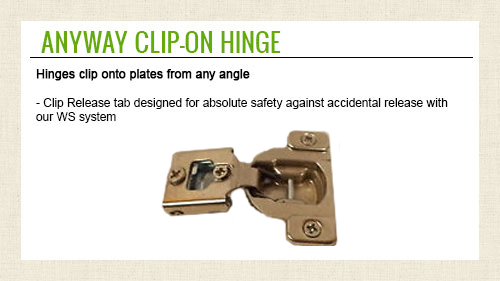 I paid for priming and drilling for hidden hinges as well. They arrived in six weeks which I was very happy about and they were perfectly made and of high quality. It took me only two hours to install everything and then paint them. I'm very pleased and plan to use this company again. Ordered 11 drawer fronts and doors. Dimensionally spot on, sanded beautifully, square as square can be. Made my project simply "perfect". Great on-time delivery too. Doors came well protected and the exact sizes I ordered. Very satisfied. Everything I received was exactly to my specifications and a good quality product.